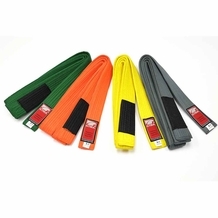 Kungfu4less.com sells approved training gear to protect the participants against the throws and kicks by their opponents. The MMA brand is a known and respected manufacturer of martial arts training and sparring gear and accessories and Kungfu4less.com is proud to be able to distribute their products. Some of the more widely used training products are the Thaismai Focus Mitt, the Century Creed Long Focus Mitts, UFC Professional Hi-Impact Shields, and others to help you to achieve becoming proficient at your chosen martial art. 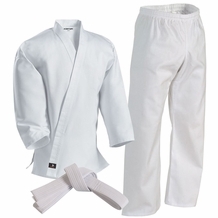 Kungfu4less.com is one of the well know websites offering martial arts equipment, including sparring and training products, martial arts uniforms and other accessories to those that wish to learn the fundamentals and beyond of the martial arts. Our website has a large collection of long focus mitts, Thaismai Focus Mits, century creed long focus mitts, UFC Hi Impact Shields, designed to hold the punches, kicks and thrusts you may encounter during a training match. Our focus mitts, like the Century Creed Long Focus Mits, are easy to fit and are durable. This type of protective equipment is not at all a hindrance while practicing, rather, wearing such a piece of protection can give you piece of mind knowing you are protected which can actually help you to perform better. The century creed long focus features a triple layer of foam, providing protection and absorbs the impacts from your opponent’s elbows or knees. Improve the technique and accuracy of any type of impact with the century creed long Focus mitts. Nylon top, bottom and back with an easy grip. 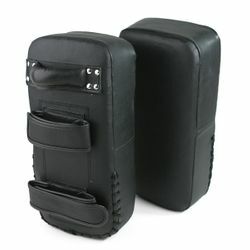 The UFC Professional Hi Impact Shield makes the training easy and comfortable. Triple layer foaming feature protects and absorbs the kicks and strikes of the participants.